Q. What are the Onsen Hot Pools? A. The Onsen Hot Pools are a highlight for many on a visit to Queenstown. 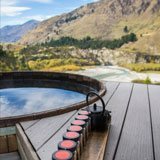 Boasting idyllic exclusive cedar-lined hot pools overlooking the Shotover River, and a newly opened massage facility, the Onsen complex offers a high-quality boutique day spa experience. The relaxation and pampering on offer here is second to none in the region, as endorsed by our Trip Advisor Certificate of Excellence for the last 3 years and our partnership with Tourism New Zealand. Q. Where are the Onsen Hot Pools located? A. The Onsen Hot Pools are located at 160 Arthurs Point Rd, Arthurs Point. Perched on the cliffs overlooking the Shotover River and amidst a stunning mountain range, this old gold miner's town is just 10mins from Queenstown or 13.5km from Arrowtown making it a convenient, tranquil escape from the more action packed, adrenaline filled activities and winery offerings in the region. Q. How do I get to the Onsen Hot Pools? A. The Onsen Hot Pools are located at 160 Arthurs Point Rd, Arthurs Point - just 10mins from Queenstown or 20km from Arrowtown. Self-drive directions are available on our website and there is plenty of car parking available behind 'The Barn', building . We also offer a complimentary shuttle service departing from central Queenstown. This service only operates for bookings that request transportation so please confirm this as part of your package at the time of booking. Q. How do I book the Onsen Shuttle? A. Our complimentary shuttle service only operates for bookings that request transportation so you will need to book the shuttle as part of your package at the time of booking. Q. Where does the Onsen Hot Pools Shuttle leave from? A. Our complimentary Onsen Hot Pools shuttle service departs from outside the Station Building, corner of Camp St & Shotover St, in central Queenstown - look out for the AJ Hackett Bungy store. Please wait on the brown bench seats outside and our driver will pick you up from there.The shuttle will pick you up 30mins before your Onsen reservation and it leaves promptly at half past the hour so please be punctual. Our drivers will call you on mobile if they can't find you but due to schedule constraints, they are unable to wait if you are late. If you miss the shuttle, it is your responsibility to make you own way to Onsen Hot Pools.On return, the shuttle will leave Onsen Hot Pools 20mins after your booking ends and the driver will drop you back at The Station Building. Q. How much does the Onsen Pools Shuttle cost? A. Our shuttle service is complimentary (free of charge) for paying guests. Q. Can I get picked up from my hotel? Q. How long has Onsen Hot Pools been operational? A. The Onsen Hot Pools have been a highlight for many on a visit to Queenstown since they opened in 2007. The complex underwent a major refurbished in 2016 and a new onsite massage facility was added for the ultimate tranquil day spa package. The relaxation and pampering on offer here is second to none in the region. Q. What can I expect from a visit to the Onsen Hot Pools? A. The Onsen Pools offer a high-quality boutique day spa experience. Set below the road on the cliffs overlooking the Shotover River, complex is a convenient, tranquil escape from the more action packed, adrenaline filled activities and winery offerings in the region.On arrival, take a short walk (approx. 100m) down from the carpark via the stairs or gently sloping gravel track as you soak up the amazing mountain scenery that surrounds you. At the main building, you will be welcomed by our Onsen reception staff who will check you in and show you to the lounge where you wait for your pool. Once ready, our staff will show you to your pool room complete with cedar tub heated to approx. 38.3 degrees Celsius, retractable roof and shower. They will explain how to operate the pools and point out the shared bathroom facilities that are available adjacent to the pool rooms. You will have exclusive use of the pool room for 1 hour from the time you enter the pool room. There is no clock on the wall but a staff member will knock on the door at the 50-minute mark to prompt you to get out and changed so that you are ready to depart when the buzzer goes off after 60 minutes.Due to consumer demand, we are heavily booked most days so we would really appreciate your support in making sure you vacate the pool rooms in a timely fashion. If you need more time to get changed please use the shared changing rooms across the hallway from your pool room.After your swim, please return to the reception. For those who have also booked a massage as part of the experience, our staff will show you through to the day spa rooms. For everyone else, you are welcome to spend time enjoying the views from our lounge again. If you are returning on the shuttle, our staff will inform you when it is time to depart. Q. What does Onsen Hot Pools do to ensure the quality of its experience? A. At Onsen Hot Pools we are very proud of the boutique day spa experience we provide. Boasting idyllic private cedar-lined hot pools overlooking the Shotover River, and a newly opened massage facility, the relaxation and pampering on offer here is second to none in the region, as endorsed by our Trip Advisor Certificate of Excellence for the last 3 years and our partnership with Tourism New Zealand.We are confident that our water quality, treatment and cleaning systems are best in class and we have a relentless focus on recruiting the best staff so we can help provide a memorable Onsen experience for all our customers.Like any business, we know we won't get it 100% right all the time but we are continually reviewing the way we do things so if you have feedback about your visit, we would love to hear from you. Q. You say Onsen Hot Pools is superior quality to other local pools. Why is this? A. At Onsen Hot Pools, we are very proud of the boutique day spa experience that we provide. With our newly opened massage facility, we now offer relaxation and pampering packages that are second to none in the region.Boasting idyllic cedar-lined hot pools with retractable roofs and stunning views of the Shotover River and southern mountain ranges as well as couples and individual massage packages, the Onsen complex is a convenient, tranquil escape from the more action packed, adrenaline filled activities and winery offerings in the region. Q. What should I do if I have concerns about the quality of my Onsen Pools experience? A. We are very proud of the boutique day spa experience that we provide at Onsen Hot Pools but we always welcome feedback from our valued customers. We are confident that our facilities and staff are best in class but if you have any concerns about the quality of any aspects of your Onsen experience we ask you to contact us on [email protected] immediately so we can investigate the matter fully. We are constantly reviewing our systems and processes to ensure we remain best in class and your feedback helps us achieve this. Q. What does Onsen mean? A. Onsen is the Japanese word for Hot Spring. Traditionally Onsen's are large public bathing pools heated by geothermal energy. They are typically separated for males and females and set in gardens with plenty of snow surrounding them in winter.Onsen Hot Pools Queenstown has added a unique kiwi twist to this tradition - constructing the pools out of cedar, heating them to 38.3 degrees and putting each tub in its own pool room with a retractable roof so you can enjoy the spectacular surrounds no matter what the weather. We also offer an onsite massage facility for the ultimate in relaxation and pampering. Q. This is nothing like a traditional Onsen hot spring? A. Aside from the picturesque setting and snow fall in winter, we are not trying to provide a traditional, authentic Onsen Hot Spring experience.Our Onsen Hot Pools in Queenstown are a unique kiwi twist to this tradition - constructing the pools out of cedar, heating them to 38.3 degrees and putting each tub in its own pool room with a retractable roof so you can enjoy the spectacular surrounds no matter what the weather. We also offer an onsite massage facility for the ultimate in relaxation and pampering. Q. How is an Onsen Pool different to a normal hot pool/spa pool? A. Onsen Hot Pools in Queenstown offer a unique kiwi twist to a Japanese bathing tradition. Our exclusive pools are constructed in Cedar and heated to approx. 38.3 degrees. Each tub is in its own pool room with a retractable roof so you can enjoy the spectacular views of the Shotover River and surrounding mountains no matter what the weather. We also offer an onsite massage facility for the ultimate in relaxation and pampering. Q. Are your facilities disabled friendly? A. We will always try our hardest to accommodate our guests and their unique requirements however it is important to be aware that the Onsen Pools are set below the road on the cliffs overlooking the Shotover River so the site is quite steep and the complex is spread over two levels. There is plenty of parking onsite but from there, it is approximately 100m down to the main building via a gently sloping gravel track. Once inside the complex, the lounge and massage rooms are easily accessed on the main level however the pools are down stairs and unfortunately, we do not have a lift.Once in the pool rooms, the cedar tubs are accessed via a small flight of cedar stairs. Q. Is there parking at Onsen Hot Pools? A. Car parking is available on site behind 'The Barn', building. There is no parking for camper vans in the carpark, however there is roadside parking available. Q. Can I bring children to the Onsen Hot Pools? A. Young children can easily become overheated and dehydrated so for health and safety reasons, we do not allow children under 5 years to enter the hot pool rooms at any time.Children aged 5- 11 years are allowed in the pools between 9am and 4pm each day, all children must be accompanied by a paying adult. After 5pm the pools are restricted to those 11 years and older. We do not provide massage services to minors under the age of 11, no children under the age of 11 are allowed in the treatment rooms, we ask that children are accompanied by a parent/guardian at all times. We are unable to transport children who require a booster or car seat. Q. How do I find out more about the Onsen Hot Pools facility? A. For more information about Onsen Hot Pools in Queenstown, check out our website at www.onsen.co.nz or call us on (NZ) 0508 UNWIND, (International) +64 3 442 5707. A. We are heavily booked most days so we highly recommend that you book your preferred package well in advance to avoid disappointment. You can book with us directly online at www.onsen.co.nzor call us on (NZ) 0508 UNWIND, (International) +64 3 442 5707.Most local hotels and booking agents will also be able to assist you with your booking if required. A. We are heavily booked most days especially through winter (Apr – Sept) so we highly recommend that you book your preferred package at least 2 weeks in advance to avoid disappointment. You can book with us directly online at www.onsen.co.nz or call us on (NZ) 0508 UNWIND, (International) +64 3 442 5707.Bookings can be made on the hour, or at half-past the hour. If you need to reschedule your visit, you can do so up to 4hours before your reservation however cancellation requires 12 hours' notice. A. We are open from 9AM – 11PM, 7 days a week. The last booking of the day is 10PM for the Pools and 8.30PM for the Ultimate Relaxation Package (Pool & Massage). A. As a general rule we do not recommend that guests use our pools while pregnant. Q. How do I change my booking to a new day/time? A. While we are heavily booked most days, we will do our best to accommodate any changes to your booking if you contact us 4 hours or more before your scheduled time. Please call us on (NZ) 0508 UNWIND. A. We understand that people's plans change but we do require 12 hours' notice for all Onsen and Tandeki packages.We require 48 hours notice of cancellation for our Ultimate Relaxation experience.Please call us on (NZ) 0508 UNWIND. Q. How long before my booking do I need to arrive? A. We ask that you arrive at Onsen Hot Pools 15mins before your reservation. That way our staff will have plenty of time to make your arrangements and you will be able to unwind a bit and soak up the amazing views from our guest lounge. Q. What do I do if the pools are too hot? A. The water temperature in the pools is set according to the day. If you find the pool too hot, you can add cold water at any time by pushing the button beside your hot tub. The water will fall from a spout on the roof so make sure you stand clear unless you are ready for a cold plunge! Q. What if I don't want the retractable roof to be open? A. The retractable roof is a unique feature of the Onsen Hot Pools. You control it with the touch of a button in your pool room so you can convert your pool from indoor to outdoor and back again as required. A. Towels are included in all packages. Q. Are you allowed to drink and eat in the pools? Q. Are you allowed to bring alcohol to the pools? Q. Can I smoke at Onsen Hot Pools? A. No. Onsen Hot Pools is a smoke free environment. Q. Can Onsen guarantee the water is clean? A. 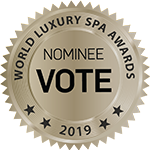 At Onsen Pools, we are very proud of the boutique day spa experience that we provide and we are confident that our water quality, treatment and cleaning systems are best in class. While we capture pure water from the surrounding mountains to fill the pools, it is necessary to continually treat the water to ensure purity and quality. We have several steps in our daily maintenance process that ensure the cleanliness of our pools to a high standard. These include:• The pool water is constantly refreshed with 4 litres of water per minute exiting the pool and 4 litres of fresh water being added. This means that the water in every pool is entirely changed twice a day.• Each pool is electronically monitored at one second intervals as the water rotates between the pool and filtration system. The electronics compare the ideal readings to the actual readings and adjust as necessary.• In addition, a staff member undertakes manual pool tests four times a day as a back up to the electronic system.• While we capture pure water from the surrounding mountains to fill the pools, it is necessary to continually treat the water to ensure purity and quality. As the water circulates, it passes through a sand filter and a UV unit and then if required a small dose of bromine is added as a final disinfectant. Q. Can Onsen guarantee that its pools are clean? Q. Are there chemicals in the pool water? A. Yes. While we capture pure water from the surrounding mountains to fill the pools, it is necessary to continually treat the water to ensure purity and quality at the warm temperatures.As the water circulates, it passes through a sand filter and a UV unit which eliminates the need for the more traditional chlorine. Each pool is monitored by high tech computer equipment constantly monitoring the water and if required, a small amount of Bromine is added to the water as a final disinfectant. We have made a conscious decision to use Bromine as there is no smell, it is more effective for an Onsen style pool and it is better for both you and the environment. Q. Why do you use Bromine not Chlorine? A. While we capture pure water from the surrounding mountains to fill the pools, it is necessary to continually treat the water to ensure purity and quality at the warm temperatures.We have made a conscious decision to use Bromine as there is no smell, it is more effective for an Onsen style pool and it is better for both you and the environment. Q. Why doesn't Onsen empty the pools after every use? A. At Onsen Pools, we are very proud of the boutique day spa experience that we provide but we are also mindful of treading gently on the picturesque environment that surrounds us. We capture pure water from the surrounding mountains to fill the pools and to empty each of the pools after every use would be hugely wasteful. We are confident that our water quality, treatment and cleaning systems are best in class and we have several steps in our daily maintenance process that ensures the cleanliness of our pools to a consistently high standard.